Production version of the Mini-Lath Dream Cutter image shows a compact metal lathe accessory that will sweep under the 3″ chuck of a common 7″ swing over bed mini-lathe such as the Sieg, Harbor Freight 7×10 and other popular mini-lathes. The Mini-Lathe Dream Cutter pivot points are fully adjustable, and have the ability to lock and set the angle for non-swing cutting operations. This enables the Dream Cutter to operate like a traditional compound rest to facilitates accomplish tapers and permits precise facing operations. These are functions not afforded by other radial cutters or compound rests. 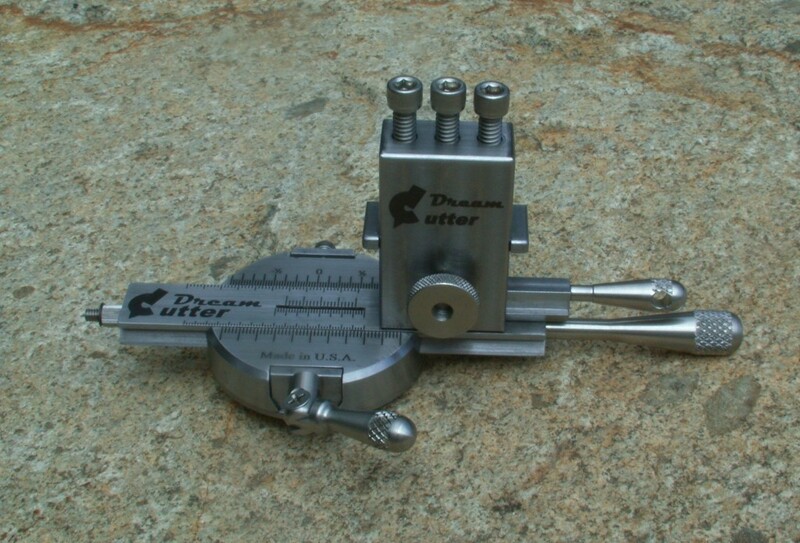 The Dream Cutter is truly a multi-purpose lathe accessory with endless possibilities. Looks great, how much & where & how soon can I get one? Would you please send me more info on this tool.I see many possibilities for my projects.